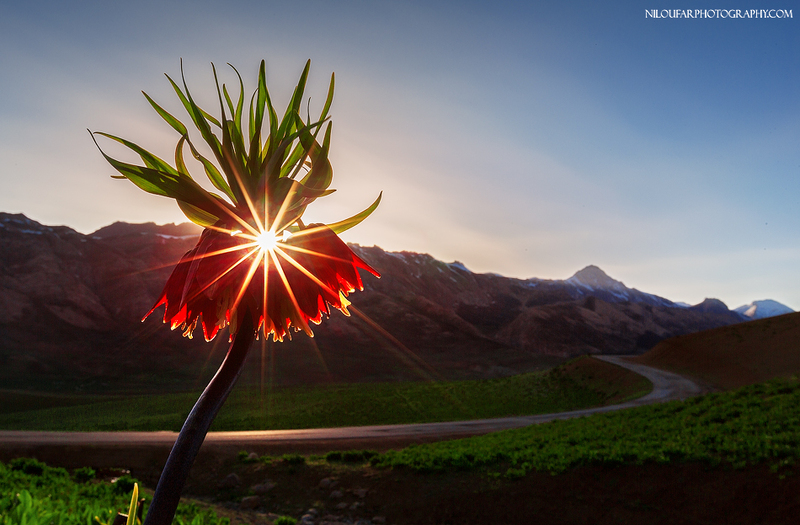 Solar Wine | Niloufar Photography | Exploring the beauty just around you! as well as in the western and southern provinces of Iran. Inverted tulip was taken to Austria for the first time by a European tourist in 1576 and Europeans became familiar with this beautiful flower. In the 19th century, its cultivation spread to the Netherlands. The flower sprouts on the plains of Iran from the middle of March. The full bloom of this flower is spectacular, as it creates a red and green carpet. During this period, a lot of travelers visit areas where this wonderful flower blooms. In fact, many festivals of inverted tulips are held every year in the provinces where they grow.